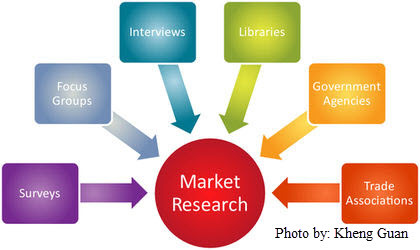 Market Research is a type of internet marketing that involves the research on potential business opportunities and competition of your website which results in increasing the visibility in search engine results pages (SERPs). 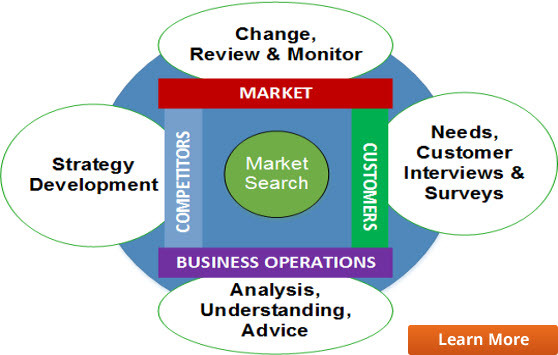 Market Research identifies the "best" keywords that will allow you to improve your on-line presence of your business and increase the ROI (Return-Of-Investment) of your services and/or products from the Internet. In other words, Market Research includes both paid search results, organic/natural search results (SEO) and competition analysis. In 2013 North American spent over $26 million on Search Engine Marketing (SEM). The largest SEM vendors were Google Ad Words, Bing Ads and Baidu. Since 2006, SEM was growing much faster than traditional advertising and other online marketing venues. Many companies are increasing their SEM budget by 50% or more. With increasing websites on the internet in the mid-to-late 1990s, search engines began appearing to assist users to find information on the web quickly. Search engines developed business models to finance their services such as pay-per-click advertising which grew exponentially and proved to be big revenue generators for major search engines such as Google, Yahoo and others. Let us create or update your Market Research plan for your business website. We will provide you with a detailed report showing all the statistics associated with your website i.e. visitors, clicks and the primary keyword search that potential customers use to access your site. From this report, we can determine what you need for your SEM plan to be a success! SEM is the most popular form of advertising in today's marketplace so take advantage of the on-line market to increase sales & revenue!